"After mishearing a pair of fishermen (John Nettles and Brian Bovell) talking about the superior flood barriers in The Netherlands, Noah devises an escape plan to ‘Never Land’. The only person who takes an interest in his plan is Katie, Noah’s wild-hearted next-door neighbour. Noah's parents (Marcus Brigstocke and Keeley Hawes) think his compulsion to turn off taps is foolish, but even they can't deny the growing storms that are threatening their little fishing village..."
Set during the floods that battered Britain in 2015, the film stars Marcus Brigstocke, Keeley Hawes and John Nettles, as well as young talent in Llewy Godfrey and Emmy Marriott. NEVER LAND is the story of eleven-year old Noah (Llewy Godfrey), who becomes increasingly worried that England is about to be swept away. It was filmed during February 2016, in locations around the South West including Port Isaac and Bristol. The Ideas Tap Award Winning film is due to premiered at The British Film Institute in September the same year. 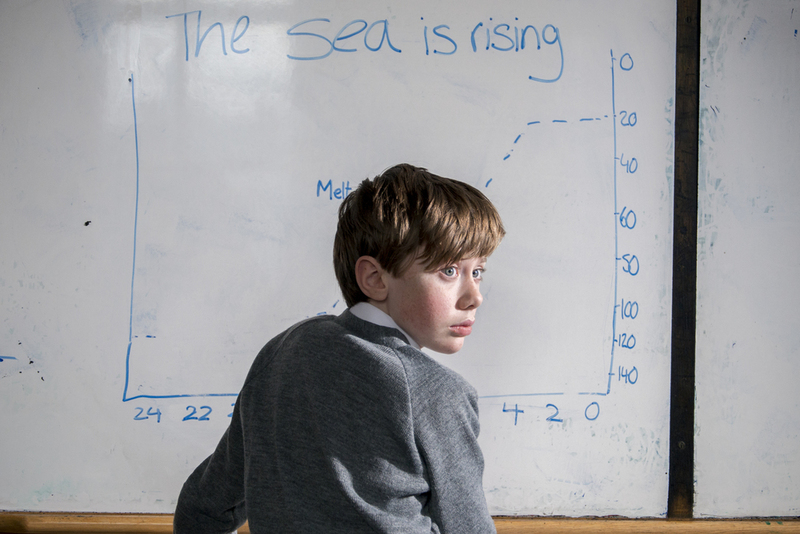 In the words of the Director, Anna Hoghton, ‘‘Never Land’ is about one little boy's fear of water, but it is also a response to the dramatic winter floods which are increasingly becoming part of British life, and life all over the world. Through the eyes of Noah, Never Land aims to provide a fresh perspective on climate change and emotionally engage audiences to act’. As a part of this aim, Never Land is working with our partner charity, Cape Farewell, to raise money and awareness for this issue. If you are an industry professional interested in UNION PICTURES INTERNATIONAL, please email contact@unionpicturesinternational.com to be sent a private link to view the full film.